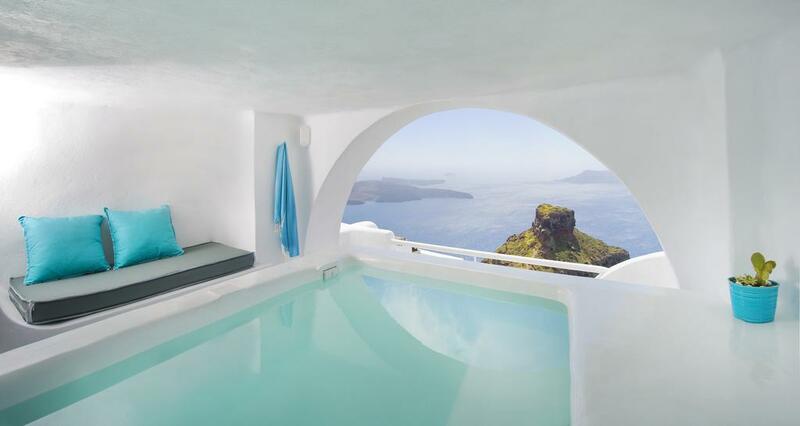 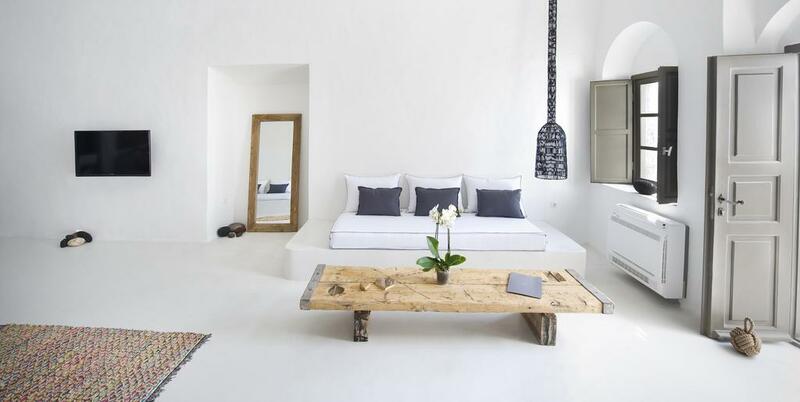 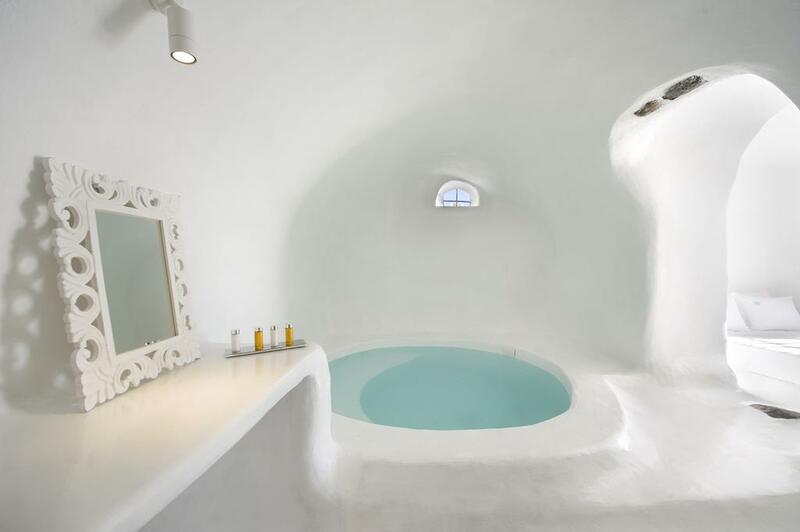 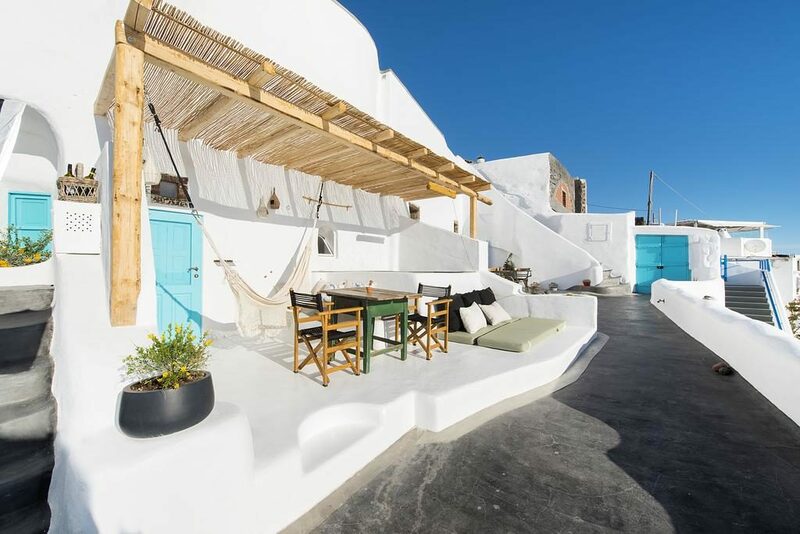 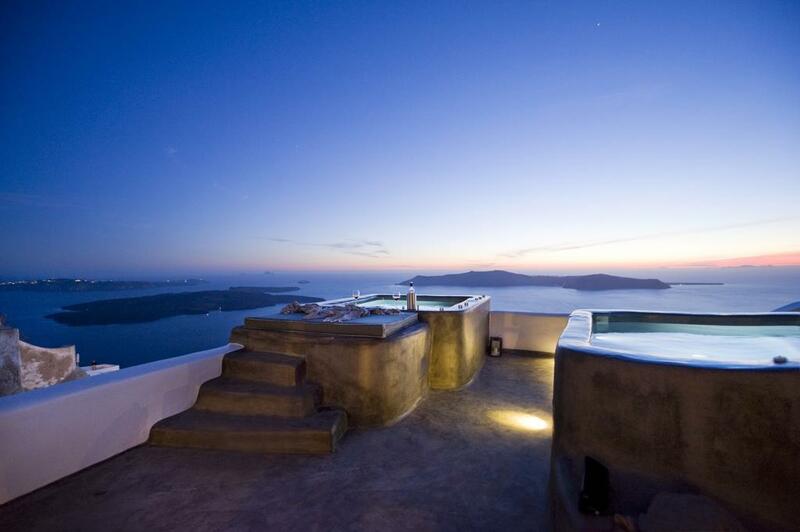 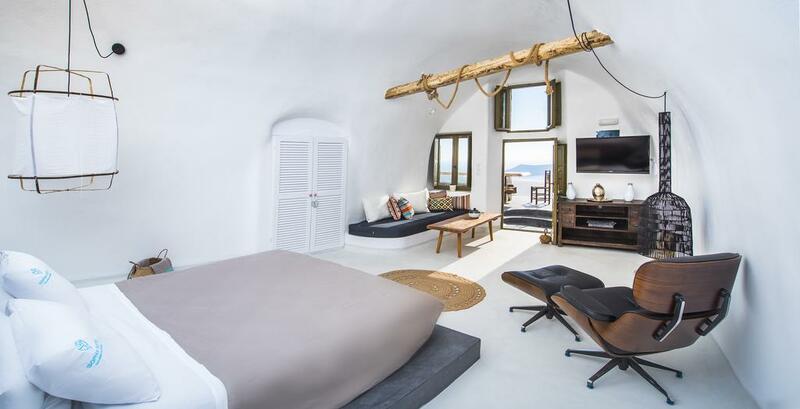 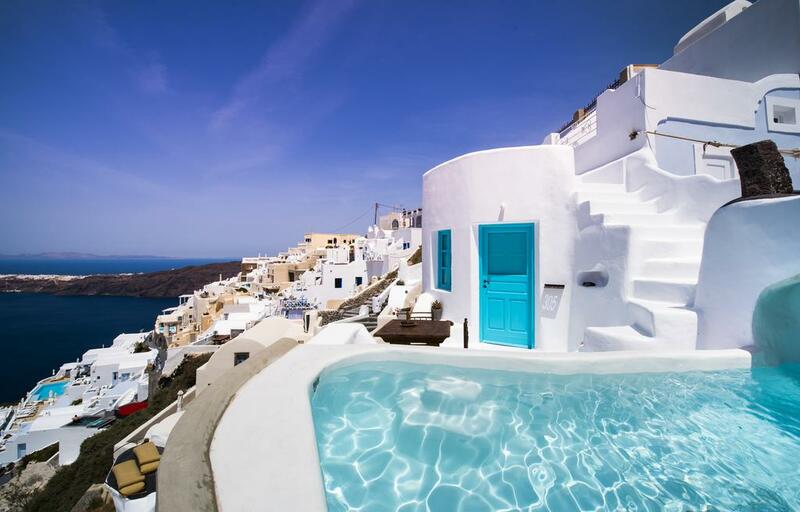 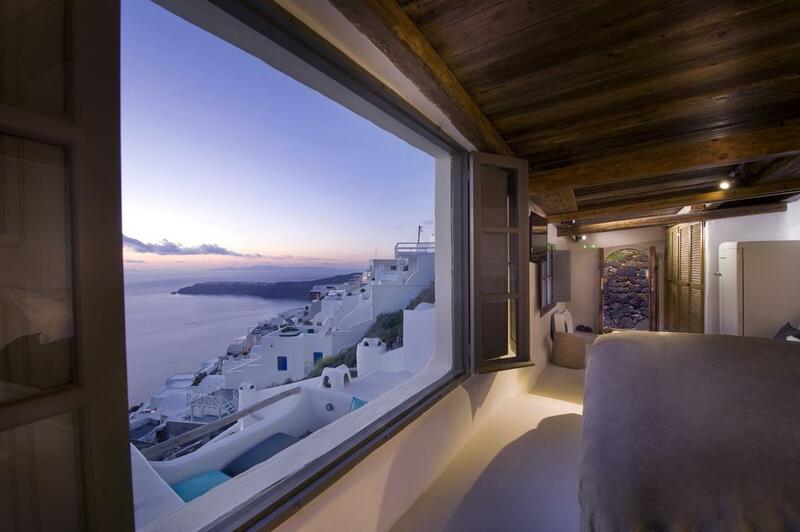 Description: The Sophia luxury Cave rooms and Exclusive Suites are regarded as one of the best accommodations on the island of Santorini. 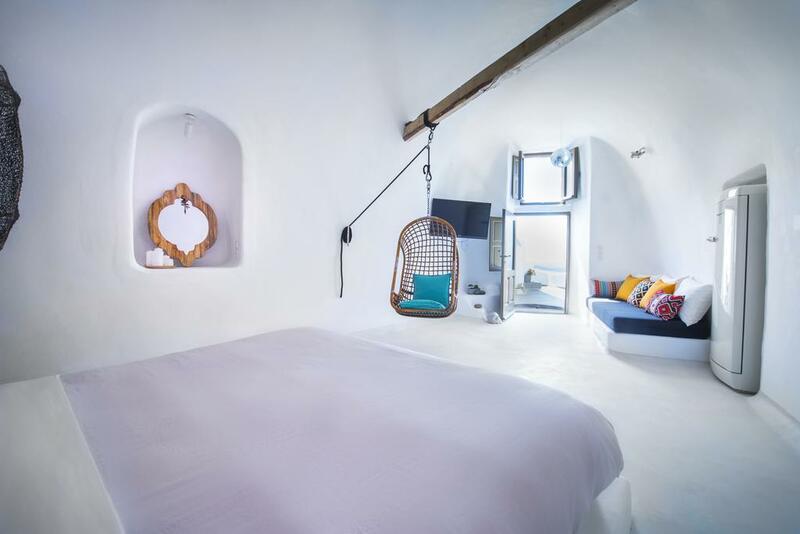 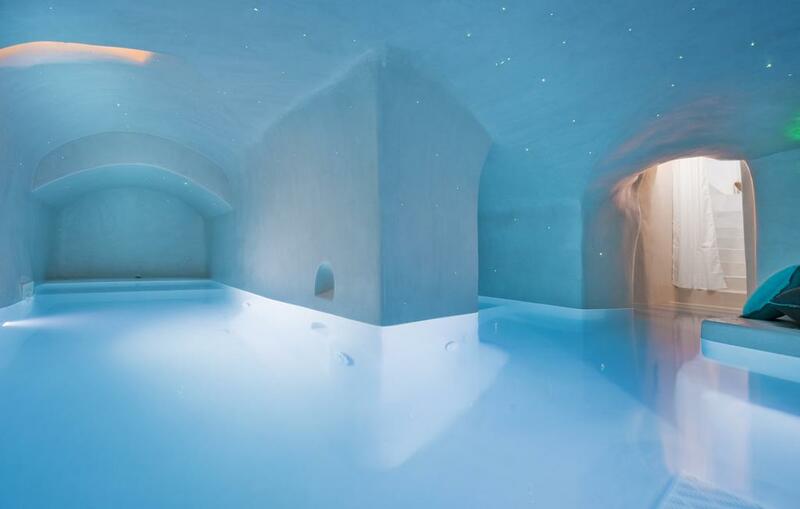 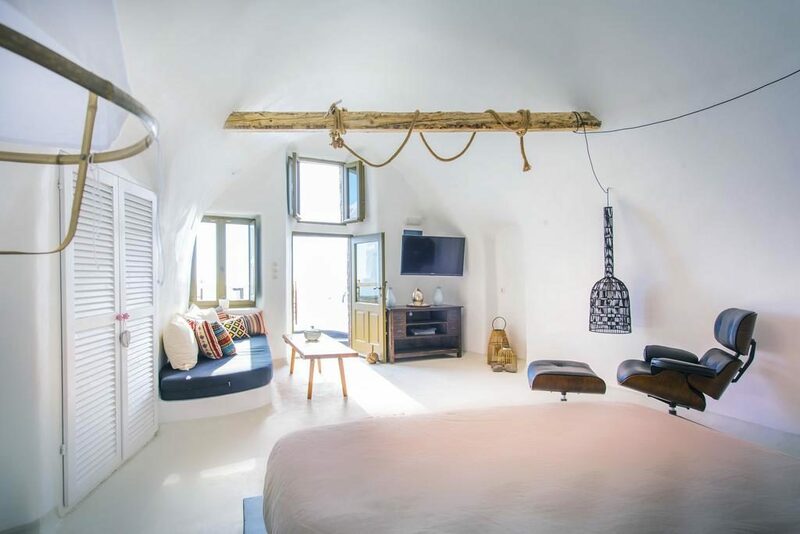 Each of the Cave rooms feature an indoor or outdoor plunge pool, while the Exclusive Suites offer an indoor heated pool plus an outdoor plunge pool. 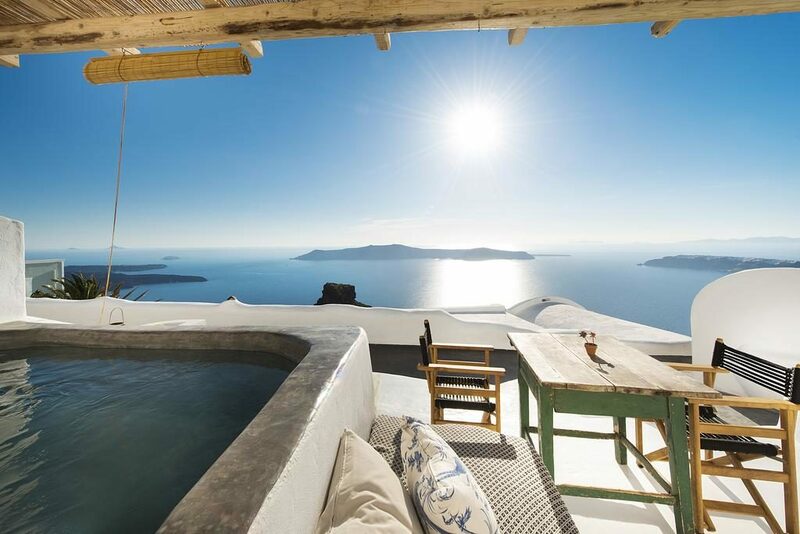 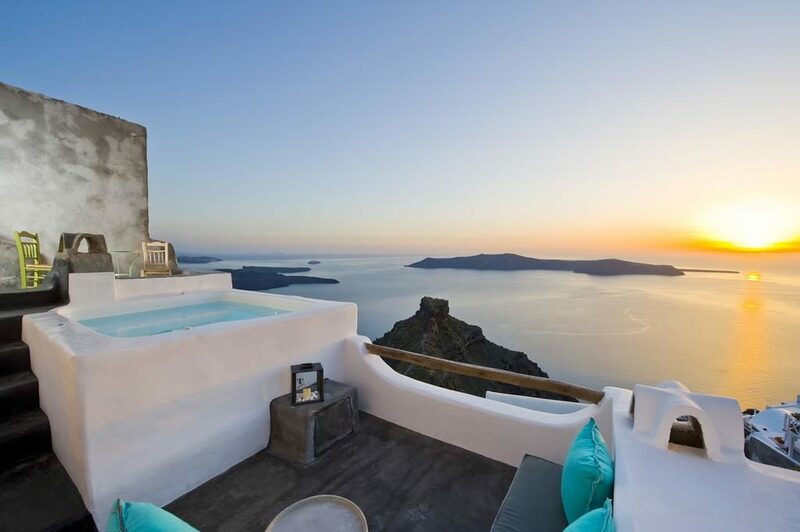 Enjoy the Santorini sunsets from the terrace while enjoying a freshly prepared cocktail, look across the famous Caldera and shimmering Aegean sea. 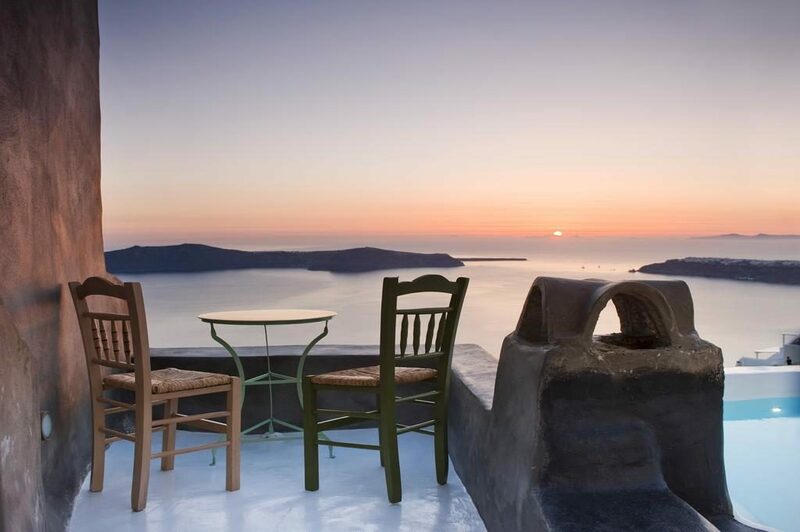 How about a delicious dinner served on your own terrace, from specially menus created by the hotels excellent chef. 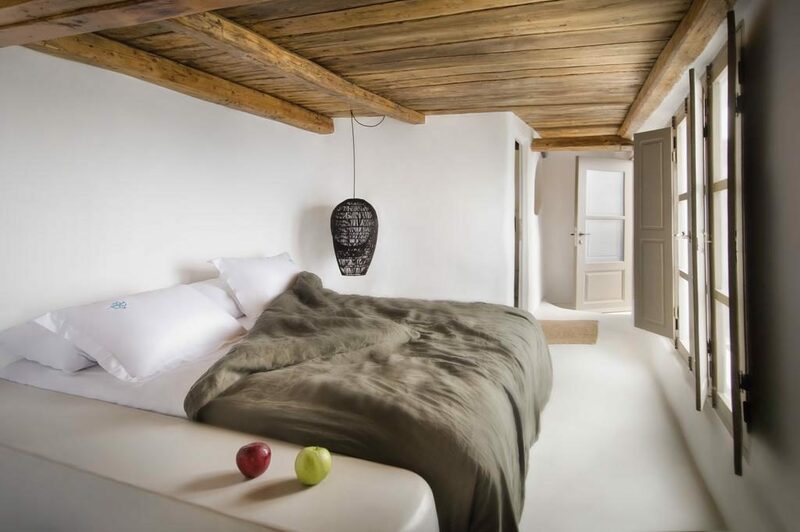 All is available at the charming Sofia suites luxury boutique hotel. 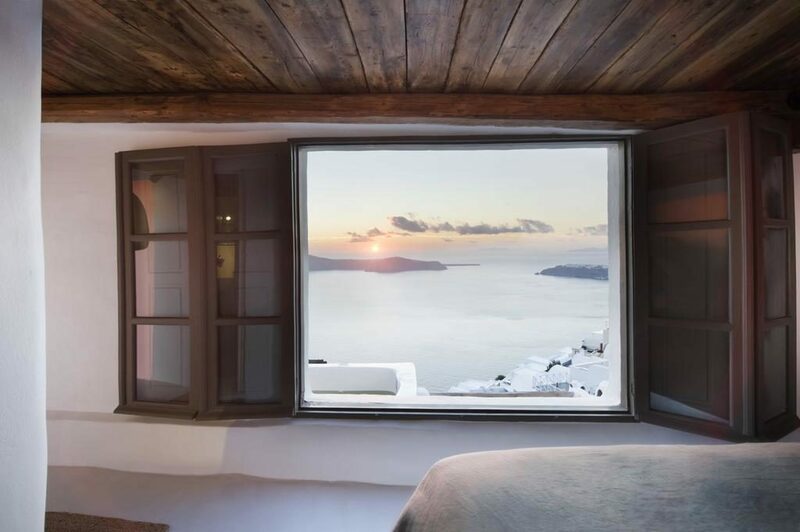 The Sophia suites are a collection of individually designed rooms, all furnished in simplistic luxury and using local materials. 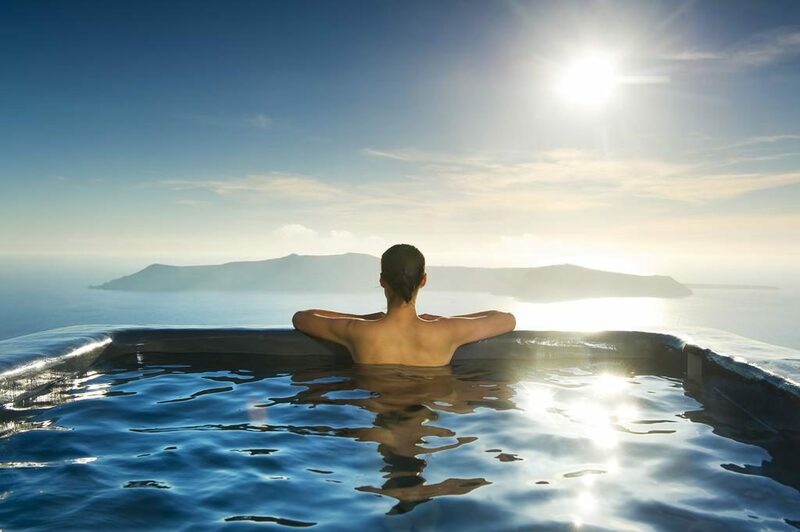 The hotel is the perfect choice for a romantic break, Honeymoon or that special Wedding party.